Engineer Kevin Celik says there's a song called "New Body" with Nicki Minaj and Ty Dolla $ign. Ever since Kanye West pushed back Yandhi indefinitely, we haven't gotten much news at all about it. Perhaps that's a good thing though because whenever Kanye does make announcements, they tend to be rushed. That was the case with ye, which has become one of the weakest points in the legendary artist's discography. Today, we were lucky enough to get some news about the upcoming album via an interview with engineer Kevin Celik. The Los Angeles-based engineer worked on a lot of songs that have yet to be released, including three tracks on Yandhi and a chunk of Dreamville's Revenge of the Dreamers 3. Chatting with The Lunch Table, Celik revealed some information about Kanye West's next album that many will find intriguing. According to him, the work will be "monumental" and is set to shift the landscape of music this year. 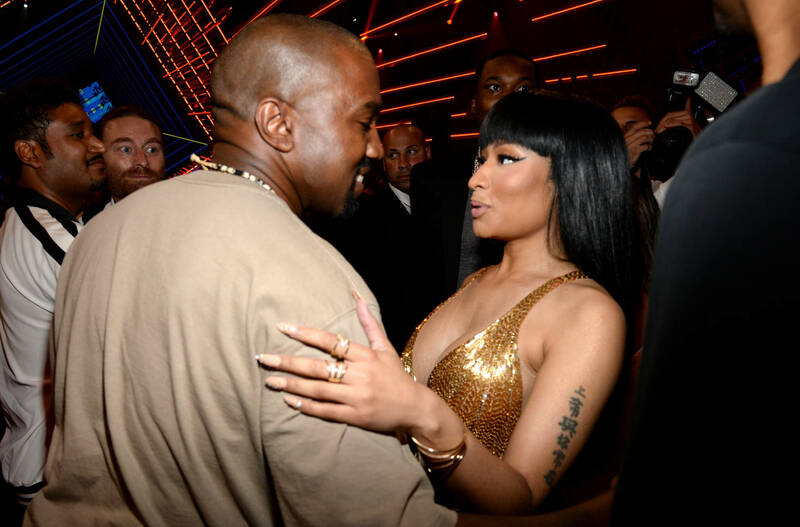 There is allegedly a song called "New Body," which features Nicki Minaj and Ty Dolla $ign, and Celik says that from the lyrics, he could tell that it was inspired by Kim Kardashian. In fact, out of the three songs that he worked on, there is a very clear "Women's Empowerment" theme present on the project. Finally, we've got a glimpse into what Kanye has been doing in the studio. While we still have no clue when Yandhi will be released, at least we've got some information to work off of. Are you excited?